Fruit juice spills can be a nightmare, and are all too common when your kids are up to mischief. We can help you clean up after them. The Rug Doctor Oxy Power Stain Remover provides bleach-like power, without the side effects. Make intense fruit juice or berry stains disappear thanks to its special oxy-action and wool-friendly formula. 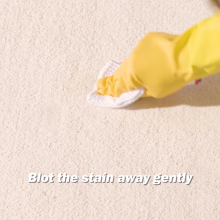 Even if you’re busy taking care of your little ones and don’t have time to tackle the spillage straightaway, it can eliminate stubborn and dried-in stains. It doesn’t just work on carpets, but fabrics and upholstery too. Try the Oxy Power Stain Remover on other surfaces in your home, including plastic, wood, tiles and painted walls. 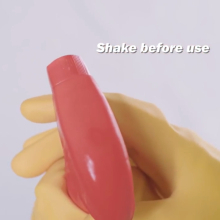 Shake the spray bottle and turn the nozzle to the ON position. Put on household gloves. Remove any solids or excess liquid with a clean, absorbent cloth or paper towel. 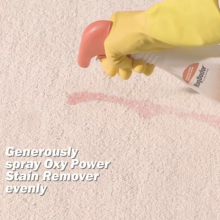 Generously spray Oxy Power Stain Remover onto the stain and let it stand for 3-5 minutes. Blot the area gently with a clean, damp, colour safe sponge or cloth. Pressing deep into the stain, work from the edge towards the centre. Then, let the carpet dry thoroughly to receive incredible results. Repeat steps 3 and 4 if the stain is stubborn or dried-in. Turn the nozzle to OFF and store the bottle upright, then wash your hands. 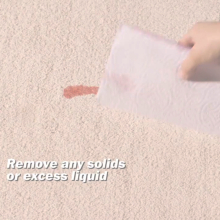 Our Spot and Stain Remover can eliminate a range of common household stains. Why not combine it with a Rug Doctor machine for even cleaner carpets? 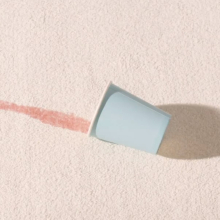 Worrying about fruit juice spills will be a thing of the past thanks to these Rug Doctor products. Let your kids play freely while looking after your home.